Facades are an important architectural aspect of any home. Do you remember the popular saying that first impressions are always important? Well, facades are perfect examples! There is huge variety based on the style and design of the house. These days, houses are often small due to lack of space. Thankfully, the size of the house is not a problem when you can transform and maximize its characteristics with the right facade. 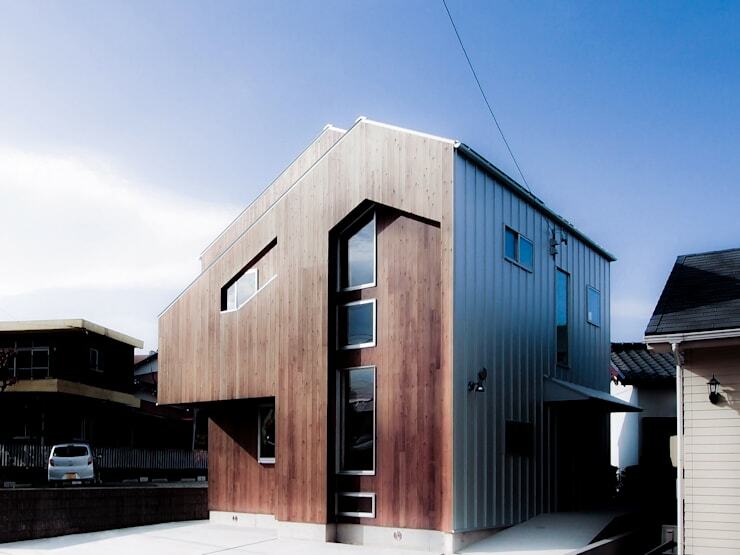 Nowadays, even small-size homes can choose from a variety of facade types. When choosing a facade for your small home, consider all the possibilities like budget, material, size, and climate of the place you live in. 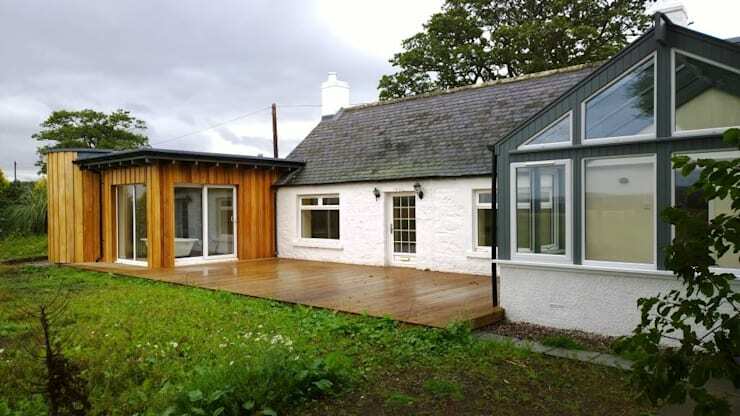 Facades of small houses are relatively cheap with numerous materials to choose from. So, without further ado, here are a few examples of facade ideas for small homes. Enjoy! While selecting a modern facade for your home, consider thinking about both the materials and colour schemes that are ingenious and fresh. Just be pretty sure that the type of facade you choose works well with your backdrop too! 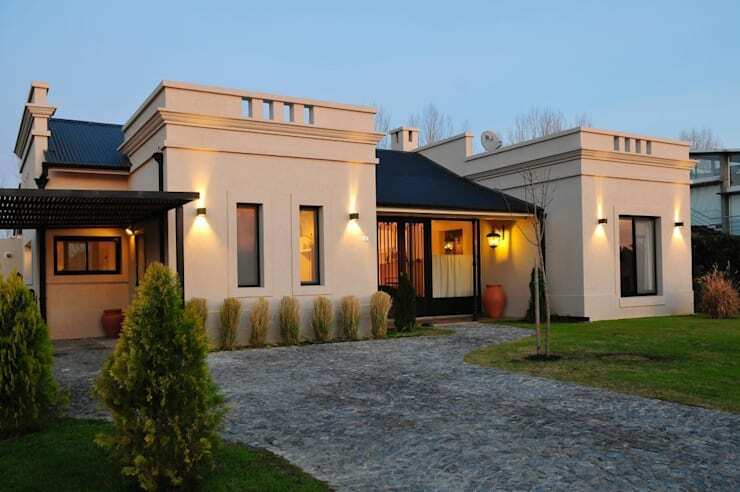 Create a facade revealing the total width when your home is situated amidst the wide landscape of the countryside. And if you are renovating a home in an urban locale, go for a facade with distinguishing heights. Thus giving a prominent representation of your home. Materials like sleek glass, perforated panels, and concrete assure an inventive look to any home. A lightweight facade is created from lighter materials that are sensibly sound and flawless. One more important thing that you should ensure while considering a lightweight facade is that they do not include any sturdy metal or concrete material. These materials require added maintenance, especially wood. Lightweight facades are a great design choice when one resides in a tropical region or warm climate. Have you heard about the various colourful shades and interactive patterns of hardwood timbers? Hardwood timber is one of the ideal examples of a lightweight facade. 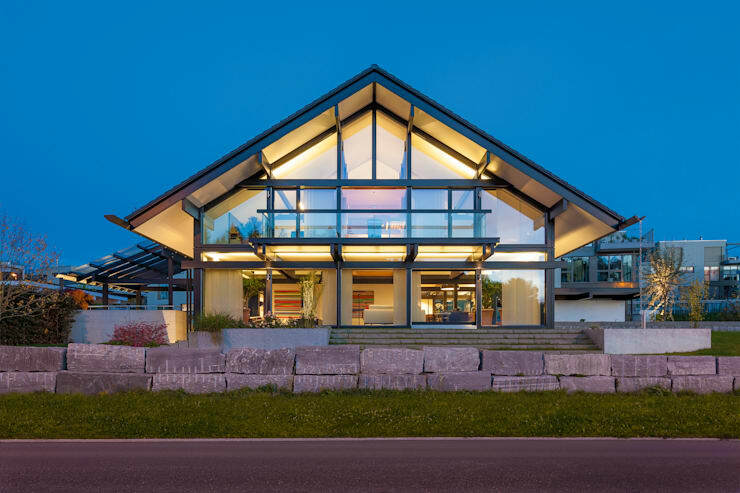 If you wish to have one of the most lightweight facades, then go with glass as your best companion. It's a magical material and can really add a modern and fun aspect the exterior look of your home. 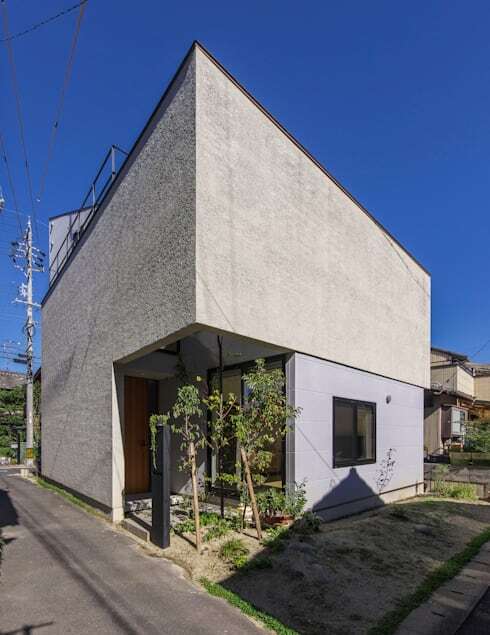 Minimalist home facades are created by combining some gorgeous and untried materials. You need not merge in more materials to get a minimalist design. Utilise diverse concrete hues and mix them with other materials such as hardwood timbers and raw stones for the appropriate minimalist tone. Minimalist facades are absolutely versatile and work well in urban areas. Today, many homeowners are ready to try this unusual modern facade. This striking structure was designed by Boks Architectuur based in Blaricum. A heavyweight facade costs more due to its composition of first-rate materials. It’s a worthy investment, however, and can be enjoyed for years to come. Materials such as concrete, plaster, stucco, and steel are all superb options to consider for a heavyweight facade. You can create a stunning facade with great colour selections to match. A rustic-style facade can be anything from hardwood timbers to a mixture of tiles, stucco, and wood. Simply design it carefully using either one or two building materials. It can be a combo like wood and stucco, or wood and plaster along with apt lighting fixtures. You can select imposing Mediterranean tiles, larger tiles or showy wood for the pathway to make the rustic setting more complete. 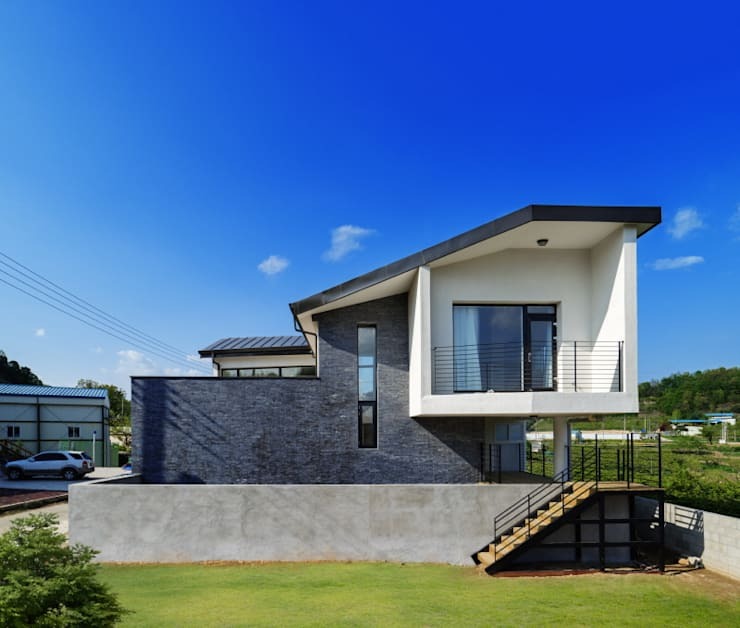 Prefabricated facade homes have burgeoned and progressed greatly. Initially, the idea was just looked on as a budget-friendly substitute with only limited choices. But now, prefabricated facades are highly preferred for their amazing style and avant-garde technology. With varied style options, they are the top choice of many homeowners today. Due to their plethora of techniques and size, they are sure to be a trusted addition to your home. Whilst finding the suitable facade your home, hunt for a reliable exterior like this colonial-style example. In general, it will incorporate some classic facets of a home, like porches and gables. The colonial facade is exquisite and works well in any surrounding. Not only this, with elements such as small plants and shrubs it completely harmonises your exterior landscaping. A colonial-style facade is the hand-picked option for many homeowners today. For another interesting read on building a perfect home, check out How to Conceive a Two-Storey House in 6 Easy Steps. Which of these facades would you choose? Let us know in the comments!